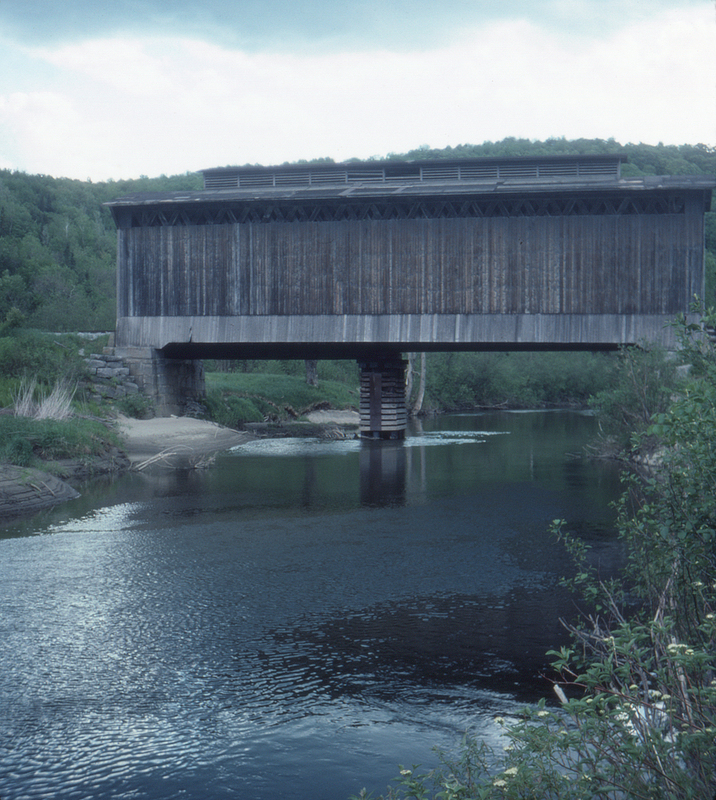 It takes a broadside view of the St. Johnsbury & Lamoille County's Wolcott, Vermont covered bridge to appreciate the actual size of the structure. The central pier was added in 1968 following a $14,000 fund-raising project to build a steel bridge inside the wooden one, during which steel girders were also added. It looks like cribbing has been applied since then to the central pier to protect it against floating debris in the Lamoille River, itself a sizeable waterway. Following completion of the project on October 17, 1968 the bridge was dedicated as a historic site.